Garters have been part of women's wear for a long time, and are a narrow band of fabric with an elastic element used to wrap around the part of the leg just below the knee in order to hold up stockings. In more modern times, they can be used further up the leg for longer stockings as well. Older garters were made without elastic, so had to be tied; usually just below the knee. In American culture and the old west, legend had it that women of those days used their garters to tuck some things into them they didn't want the public to see. For example, a little bottle of alcohol they could take a nip of when they wanted. But more importantly, the story is some of the women used their garters to place small firearms in them for protection. Usually that is depicted as a derringer, although there are other gun models as well. Women, as is always their custom, would also accessorize their garters by hanging things on them. 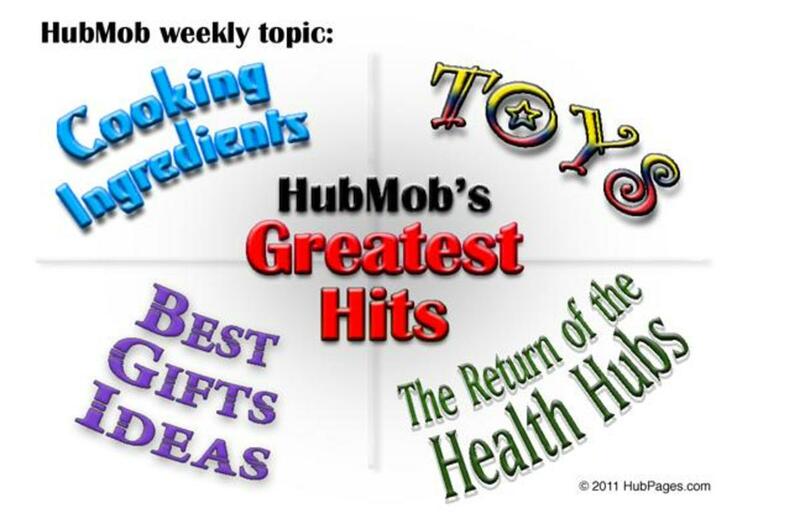 That has resulted in an interest in artists in creating their impression of what that would have looked like. That's no different with tattoo art, which has a nice variety of garter tattoos with objects hanging from, or tucked in them. Garter belts come in a variety of thicknesses, with some being very slender at about an inch wide, and others being wider - up to three, and sometimes four inches wide. Sometime the garters will be flat as a band, while others are more frilly and have fishnet included in the design. Tattoo artists have incorporated a variety of looks into that practice. What's interesting about the interpretation of garters by tattoo artists is they're almost all inked above the knee, contrary to the actual practice over the years. In the case of body art I think that's a good idea, as below the knee wouldn't look that compelling or attractive. And for those of you who may be wondering about it, I know that technically the term garter belt isn't completely accurate for the tattoos being shown, as they are in reality garters, but a number of people use the terms interchangeably, so I'm using it in this article in that manner. Let's look at some of these very cool tattoos now. 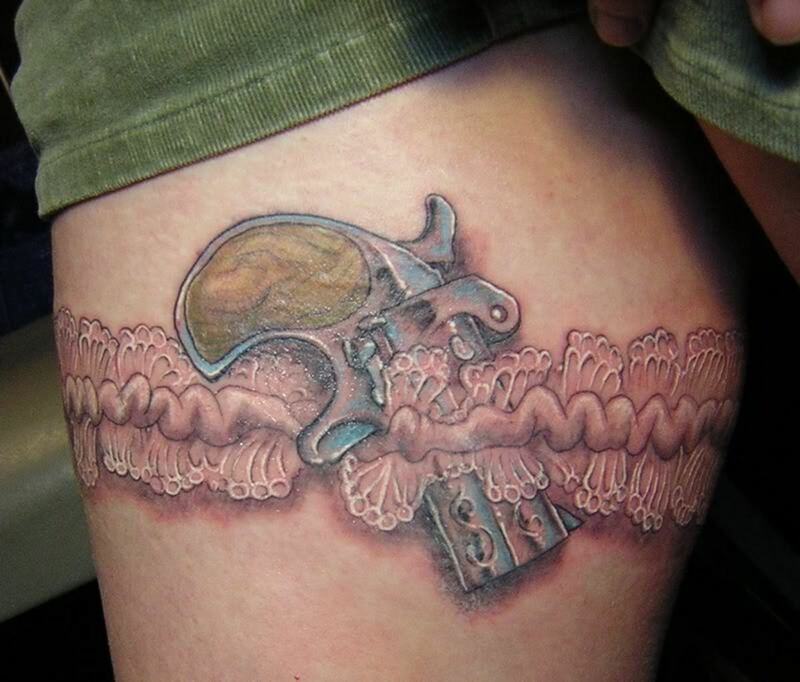 A garter holding a gun, especially a derringer is easily the most popular of all garter tattoos. It represents what most of us picture when women of the west who frequented places which could present a danger to them would wear under their dresses. It's a fun look, and is amazing how feminine these ladies would look with the garter while having the gun tucked into it. The frilly design of this garter is also very cute. One thing I found out with garter tattoos is there is a concerted effort to include the tattoo and the gun as complementary parts of the design, apparently in an attempt to provide a blend femininity and strength. 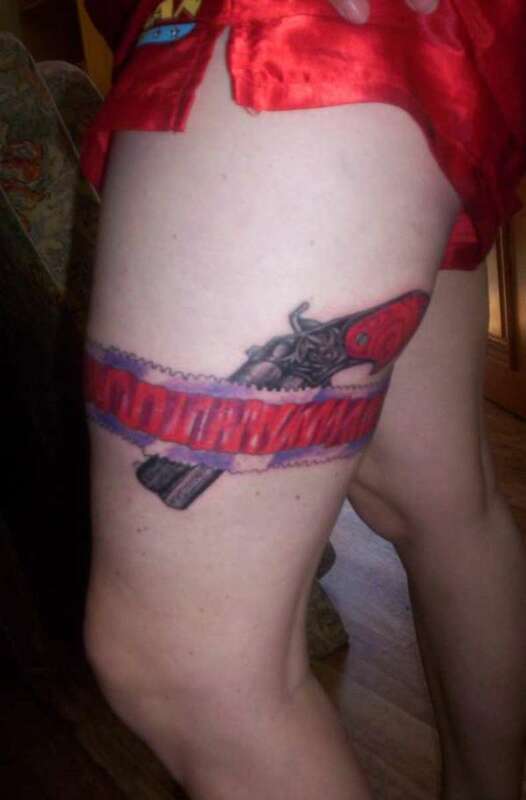 That's the case with this tattoo, which includes the pretty red ribbon tied around the gun with the red fabric running through the center of the garter with lace on both sides of it. Very nice garter tattoo design. Both the garter and the gun are done very well. I wanted to include a couple of garter tattoos that didn't include a gun tucked away in it, and this one with the red ribbon intertwined with the garter looks fantastic. The red bow tied off in front and dangling down is great, and it really works well to have it placed against the background of the dark ink used to design the nicely detailed garter. Here is another example of a garter tattoo without a gun tucked into it. 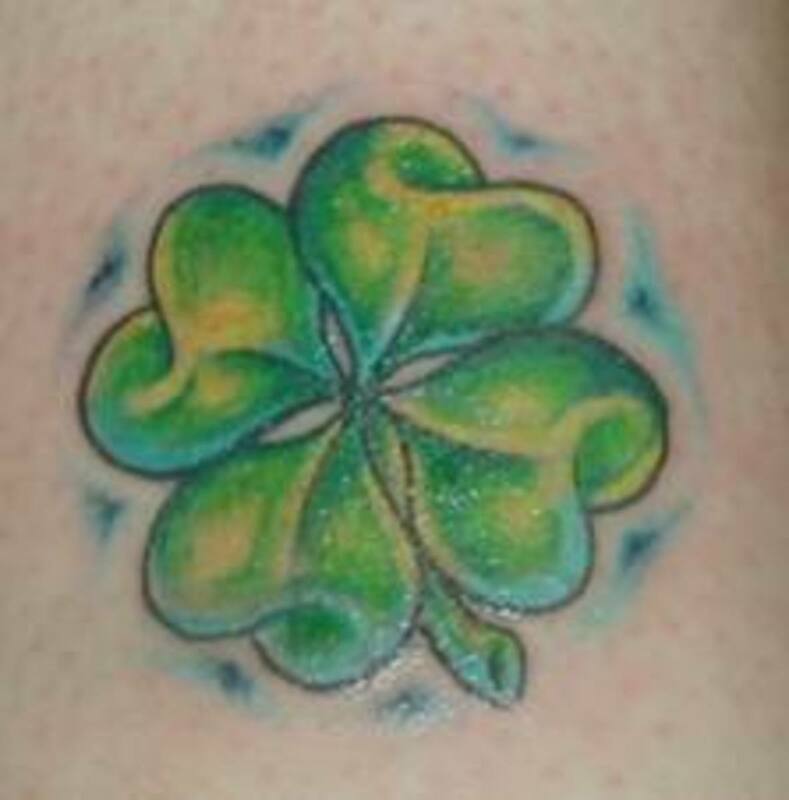 This one is much wider than the prior garter tattoo examples, and includes a wider bow that looks terrific in its design. What is attractive is the way the shadow of the ink and the clear places of the skin are used in the design to create the ruffled look. This is why I prefer darker ink over the use of colors in a design, although in the case of these garter tattoos it is used in a way that enhances the look So using color works very well with them. 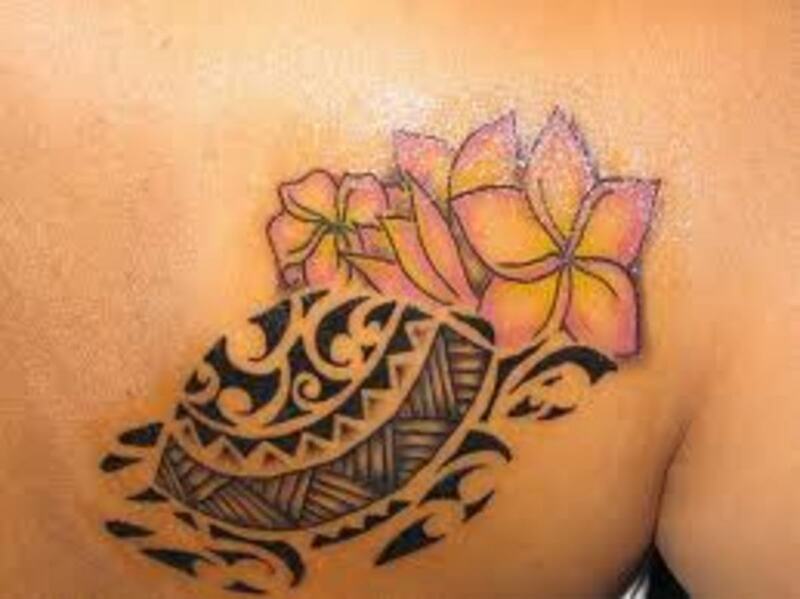 The garter tattoo theme lends itself to some wonderful uses of color, as shown by the tattoo design below. You can see the amazing quality of the detail of the garter, and since it's being portrayed as transparent material, you can see the derringer underneath the garter material, creating a very nice effect. The elastic part of the garter was also done in extraordinary detail, resulting in a terrific image. The derringer itself is also well done, and the blue and pink on the little gun, along with the light brown on the handle really work well together. Overall, it's a well thought out garter tattoo. 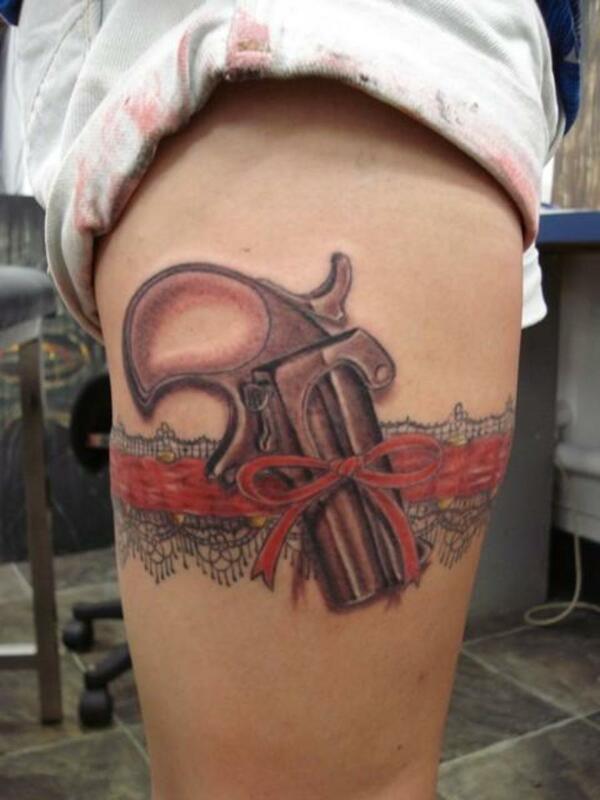 Here is a nice garter tattoo design with complementary red color on the garter itself and the gun handle. 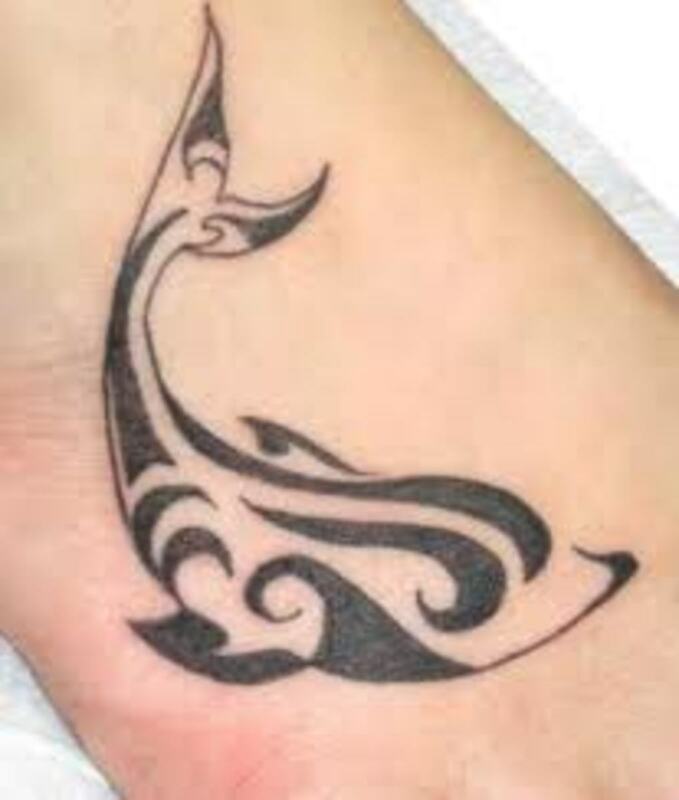 That looks very cool, and stands out nicely if attracting a lot of attention to the tattoo is a goal. The light touch of purple and lavender helps the red garter to pop out a little more, while also subtly subduing the color so it's not outrageously loud. I like it blending of those colors. As for the gun, it's a lot different than the small derringers above. Taken as a work of art it's really of high quality, and the most ornate of the gun tattoos shown here. The design bordering the red handle is fantastic. The only thing I would have done on an otherwise extraordinary tattoo would to have made the gun appear to bulge out a bit where it was tucked into the garter to add more authenticity to it. Even with that small complaint, it's still a great garter tattoo, with a nice ruffle look to add some femininity to it. Garter tattoos aren't always the first choice a lady things of when considering body art, but as you can see from this tattoo gallery of them, it's definitely one that needs more thought when looking at how terrific they look. It's very compelling to see the contrasting femininity and beauty, complemented by the strength represented by the gun in those designs that include them. And for those wanting a soft, feminine tattoo, the garters with the ribbons and bows also look awesome.